Britain cannot leave the Single Market and customs union without destabilising the Good Friday Agreement. Duncan Morrow (University of Ulster) explains why Brexiters have identified the Agreement as the biggest single obstacle to their vision. Walking away from the Good Friday Agreement may look easy. Picking up the pieces could last a lifetime. It may be 1690 since the politics of the north of Ireland were so central to the geopolitics of Europe. It is certainly almost a hundred years since Irish issues had the potential to define the politics of the United Kingdom as a whole. But gradually and unmistakably, the fragility of Northern Ireland and the powerful symbolism of the ‘Good Friday Agreement’ have combined to become the single greatest obstacle to the drive for unrestricted sovereignty and border control that powers Brexit. The scramble over the Joint Declaration demonstrated that the cross-border integration at the heart of the Good Friday Agreement (GFA) ran a coach and horses through the ‘one leap and we’re free’ version of Brexit. It was then inevitable that committed Brexiters would turn their fire not only on the customs union, but on the Agreement itself. For anyone who was there, the Good Friday Agreement was the watershed in British-Irish relations. Even its detractors understand the emotional and historic importance of a deal accepted by the majority Unionists and Nationalists, Republicans and Loyalists, the UK and Ireland at one time. But over time, especially since the financial crash, the Agreement lost its elan in London and Dublin; increasingly. the only measure of its effectiveness was the absence of violence and the extent to which Northern Irish affairs could be ‘managed off’ the agenda of governments, and contained within Northern Ireland. In part, this was a matter of personnel. Unlike John Major and Tony Blair, Gordon Brown and David Cameron missed the emotion of the occasion. The same was true of Enda Kenny in Dublin. This was not their deal. In part it was a matter of context: seen alongside global austerity, war in Syria and Brexit, Northern Ireland seemed petty and trivial. But largely it was a matter of the failure of the Agreement and wider British-Irish relations to decisively shift sectarianism and antagonism in Northern Ireland. Within months of signing, the practical horizon of the Agreement had narrowed to establishing power-sharing in Belfast. Devolution – rather than reconciliation – became paramount, and the Agreement increasingly resembled a Swiss cheese, with significant holes carved out around commitments now regarded as obstacles. Parts of the original text – especially the bits about governing together in Northern Ireland – were diluted by the governments at St Andrews to incentivise the old enemies of the DUP and Sinn Fein into partnership. A pragmatic blind eye was turned as many of the more ambitious ‘reconciliation’ goals of the Agreement for Shared Futures, Bills of Rights and Civic Forums were shelved or ignored. In the absence of any review or oversight mechanism, devolution to Northern Ireland removed day-to-day management of the dreary steeples from the desks of ministers in the metropolis. For this at least, both governments gave thanks. In any case, devolution on the UK model means that any pressure from outside can be quickly characterised as interference. With perceptible relief, wider British-Irish stewardship of the Agreement became essentially symbolic: it was confined to successful state visits and sporadic irritating emergency rescue visits to Northern Ireland, most of which involved requests for injections of money. In the capitals which created it, the Good Friday Agreement became less of a miracle and more of a mechanism for arms-length management and occasional pious rhetoric. 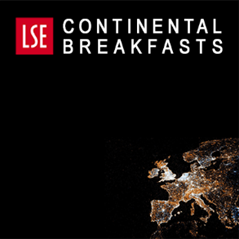 While the ostensible trigger for the outbreak of public hostility to the GFA was the final collapse of negotiations to re-establish power-sharing government in Northern Ireland, history will probably record that causality was reversed: the consequences of the Brexit referendum suddenly exposed how deeply the governments of both Ireland and Britain relied on the partnership of the Good Friday Agreement and shared membership of the EU to stabilise Northern Ireland. When the EU made clear that it would back Ireland in its demand that Brexit should uphold the seamless cross-border relationships established in 1998, the path to confrontation opened. 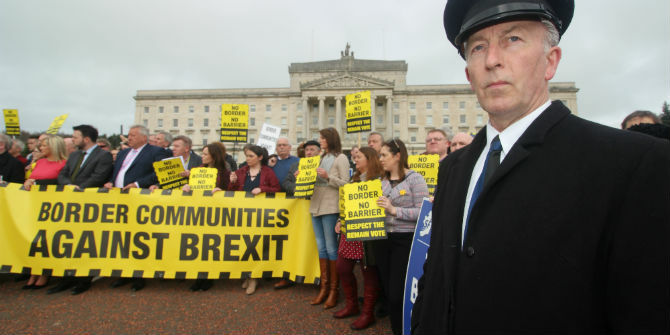 The logical pathway for the Brexit radicals was clear: if sovereignty over borders is the decisive measure of Brexit, then the Good Friday Agreement, with its cross-border, inter-state, international commitments is no longer a miracle, but a curse. When the DUP unexpectedly emerged from the General Election holding the balance of power at Westminster, any room for the Conservative party to enforce ‘special’ arrangements for Northern Ireland which involved increasing the length of the arm evaporated. By December it was clear the government was officially between a rock and a hard place. The collapse of talks designed to restore devolution in Belfast last week confirmed what most observers in Northern Ireland already knew: under stress from the unresolved issues of reconciliation – be it the bitterness and recrimination characterising relations over violence in the past, the failure to resolve any significant cultural dispute or extend equality since 2007, or the unwillingness to soften the sectarian boundary in education, housing or politics – the final straw was a language dispute. But even these were increasingly trivial compared to the mounting anxiety, spoken and unspoken, about the border in the face of Brexit. The collapse of devolution opened the way for a co-ordinated effort to declare war on the GFA itself. A former Secretary of State for Northern Ireland, Owen Patterson, led the charge. In the blink of an eye, Daniel Hannan abandoned the silky assurances he offered during the referendum that nothing would change. 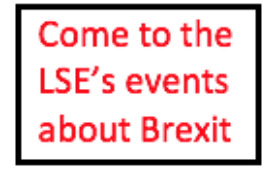 Less surprisingly, Kate Hoey, Labour’s ultra-Unionist Brexit cheerleader, joined in. (Northern) Ireland’s difficulty is England’s opportunity, or at least necessity. In the face of the collapse of devolution, the Agreement was declared dead and, in one fell swoop, was removed from the pathway to a smooth and hard Brexit. If only it were that simple. Few people may have actually read the Agreement, but a quick glance at the text might just delay fateful decisions being taken without considering the potential future consequences. Above all, any move to walk away unilaterally will reveal that devolution is less than half of the problem. Because at its heart, the GFA was a blueprint for British-Irish relations beyond any letter of the law – a historic sea-change in the relationship of two post-imperial states. The explicit acknowledgement of human suffering arising from conflict and the commitment to reconciliation, tolerance and mutual trust can be belittled as sentimentality, but in the context of British-Irish affairs they represent a revolution. Without the Agreement, there is nothing in Irish history which acknowledges the requirement for partnership, equality and mutual respect. And there is nothing which commits everyone to “exclusively democratic and peaceful means of resolving differences on political issues.” The Agreement re-orientated the constitutional relationship of two states to each other and to Northern Ireland. Ireland made this explicit by changes to two Articles of the written constitution. The UK modified the doctrine of parliamentary sovereignty by accepting in an international treaty that the constitutional settlement of Ireland was a matter for the people of Ireland alone ‘without external impediment’. By acknowledging that British sovereignty in Northern Ireland reflected consent, anti-imperial reasons to refuse legitimacy vanished. Uniquely, every person could choose to be ‘Irish or British or both’ in every and all futures – and would be treated with absolute equality. Any one of these changes would have been historic, but to contain them in one document was truly breathtaking. More urgently, the Agreement underpinned the rule of law and assured citizen equality. All parties committed to the total disarmament of all paramilitary organisations and the British government committed to a process for demilitarisation. Commitment to policing reform was agreed, and international law in the form of European Convention of Human Rights, a full-scale criminal justice Reform and Equality law was upfront and central, including the important but undeveloped concept of ‘parity of esteem’. Any unilateral decision to declare the Good Friday Agreement dead raises the question of what happens to all of it. But the Brexit process has now inevitably brought us to that point. Even worse, it does so with time running out for negotiations. Negotiating the GFA took years. Walking away from the Good Friday Agreement may look easy: picking up the pieces could last a lifetime. The hand of history is moving again, and not necessarily in a good way. I may have missed something but I haven’t heard anyone on any side of the argument suggesting walking away from – or even watering down – the GFA. Quite the opposite in fact since both governments and the NI political parties have reiterated their commitment to the agreement. The only issue raised by Brexit seems to be the border but nobody disputes that tariffs can be collected through pre-declaration just as duty is at present. All sides – including the DUP – have said that they could tolerate a degree of regulatory divergence between NI and the rest of the UK since this already exists. It does rather seem to be a storm in a teacup which, without the change of government in Dublin, might have been resolved by now. The collapse of power sharing, on the other hand, is a consequence of intractable disagreement and mistrust which shows no sign of disappearing. A border means: customs’ duties, excise duties, other indirect taxes; fees; bonds & other financial securities; checking for dangerous goods; vehicle checks; immigration & visas; export licences; phytosanitary, vet & hygiene controls; health & safety; CITES controls [endangered species]; product testing, labelling, conformity checks; quotas, agri refunds. That is why NI — and probably rUK — will almost certainly remain in the Single Market and Customs Union. The Brexiteers forget the Good Friday Agreement was underwritten by FOUR major parties – the British government, the Irish government, the European Union, and the US government. Brexit, with massive regulatory cross-border issues, would inevitably drive a coach and horses through the Good Friday Agreement, By enthusiastically embracing Brexit the British government has inevitably put itself at odds with the other three major actors mentioned above. What a terrible shame, especially with the 20th anniversary of the agreement fast approaching! I do not no much about the GFA but I think Tony Blair over stretched his powers the UK Parliament said yes to a referendum but did not give him the power to sign the GFA just like the referendum to leave the EU parliament had to have a vote after the referendum a refarendum is not binding parlement make it binding by voting same as John Major over stretched his powers taking us into the EU in 1993 & Gordon Brown signing the Lisbon treaty all done illegally or am I wrong ? The beauty of the GFA/Belfast Agreement, it seems to me, is that it continues to provide a pathway for Irish unification through a political process. Brexit has not inevitably brought us to the point of challenging it. You are, I think, only saying that because you don’t like Brexit. So you have picked the 3 Brexit proponents who have challenged the GFA. But these are hardly the most prominent Brexiteers.